I’ve reviewed so many Atelier games now. Atelier Lydie & Suelle concludes the third complete trilogy that I’ve worked through since first discovering the franchise. 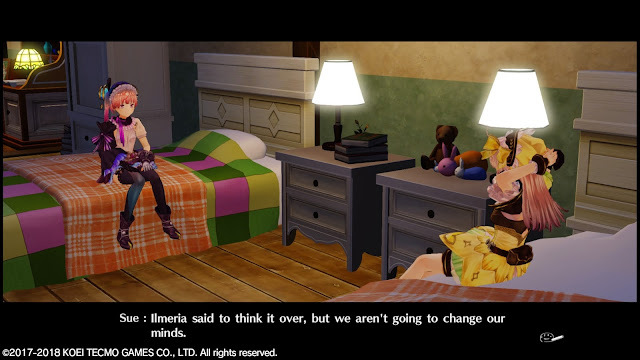 Atelier Rorona back on the PlayStation 3 was my first, and if the games before it were even released in Australia, they were done in such small quantities that as far as I’m concerned I started the series when most JRPG fans in this country would have. I’m not exaggerating when I say that it has become my favourite JRPG franchise, bar none. But, after nine games (and the PlayStation Vita ports), it’s getting harder to find fresh ways to write about the franchise as a whole as part of these reviews. So I’ll kick this one off by discussing what Gust’s premier IP has become to me over the years. There’s a warm familiarity that comes from loading up an Atelier game. Though each game has a different story, different characters, different locations, and subtly different gameplay mechanics, there’s a tone and atmosphere that Gust has proven to be remarkably good at maintaining from one game to the next. Simply put, Atelier games are pleasant. And in a world where JRPG narratives compete with one another to bloat themselves out to impossible lengths and delve into ever deeper territory, or alternatively got for the bat**** crazy, as in the Hyperdimension Neptunia series, it’s really refreshing to have this one franchise content to continue to be happy, sweet, innocent, and overwhelmingly pleasant to experience. Atelier has become about much more than just the characters and colourful environments, the charmingly cute enemies and lightest touches of fanservice from the short skirts of the almost entirely female cast. Atelier is a franchise of little traditions, such as the way each character has her own gleeful way of exclaiming “taru!” (barrel!) every time you direct her to ‘talk’ to a barrel. It’s also a series with a firmer commitment to more significant commitments – such as to generally antagonist-free narratives and making those female protagonists all wonderful, potent, determined characters. Some critics might dismiss the quality of these characters based on those light moments of fanservice. Those of us that care more about the series see some of the best female protagonists in the JRPG genre – characters that go through coming of age experiences to become genuine sources of inspiration and leaders of the people around them and then, from one game in a series to next, to pass their knowledge on to the next generation of female alchemists. Atelier games often touch on darker material – the disappearance or death of loved ones, or even an apocalypse threatening the entire world. Rather than use this material as motivation to promote anger and angst, though, each game instead opts to promote a utopic vision for disaster; the idea that communities can come together and make the most of their collective lot in life in the wake of the most stressful of environments. You could call it naïve, I guess, but you could only really do that if you weren’t familiar enough with the Japanese culture to understand that that’s exactly how that culture works; it genuinely does band together in solidarity and stoic good will when the chips are down. Again, only the Atelier series really explores these ideas, as most other JRPGs feel the need to establish conflict as the narrative focal point and drive home an antagonist, and without fail I have found every game in this series so refreshing, if for no other reason than for taking things in a different direction. With all of that out of the way as context, I’m going to say this: Atelier Lydie & Suelle is my favourite Atelier game of all. In a way I wish that wasn’t the case, because I do so love my Atelier Meruru as the game that really cemented my adoration for this series (Meruru being the third I played), but really, what Gust has achieved here, despite the tiny budgets that it works on and the technical limitations to its vision, is nothing short of amazing. Firstly, I want to talk about the girls themselves. 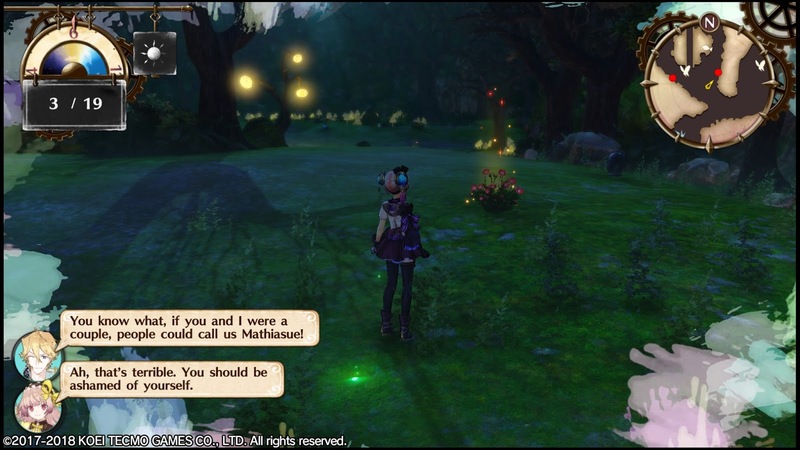 For the first time (since I started with the series, at any rate) an Atelier game shares female protagonists, who share the same story from start to finish. Yes, I’m aware that Atelier Shallie has two protagonists, but in that game you would choose one or the other as the “main” and then the story would bring them together in due course, with the other girl being more akin to a supplementary role. 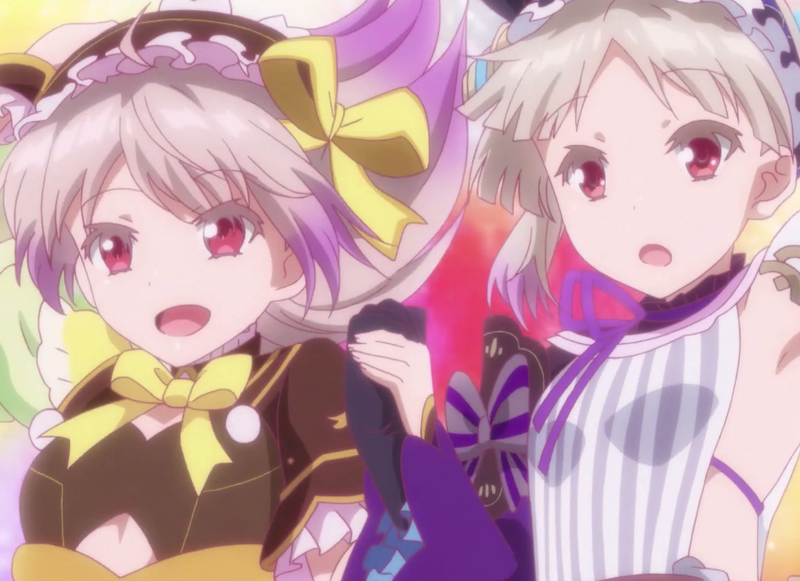 Atelier Lydie & Suelle is different in that the two girls are inseparable, both in terms of narrative and gameplay mechanics, from the outset. With their mother passed away and their father proving to be more of an inept no-show than a responsible parent, these two girls band together in an effort to realise their alchemy dreams and improve their lot in life. They do so in cheerful spirit and subtle strength and determination, and the interplay between the two, and the bond they share, is written beautifully. Related reading: It's not Atelier, but Gust's Blue Reflection is another utterly beautiful JRPG. 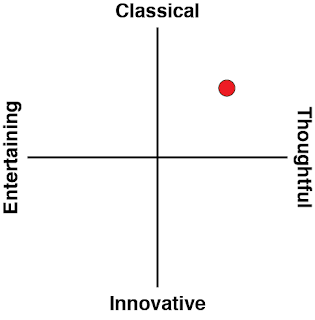 Our review. There are some genuinely touching moments that really stand out as the plot progresses, too. A scene where the two girls visit their mother’s grave, while the father in the background reflects on their need for a mother to the local church nun is so softly sentimental that I didn’t really realise that it had had an impact on me until, dozens of hours later, I was still remembering it as a key scene. And that describes much of the game’s narrative; there’s such a gentle subtlety and lyricism to it all that it’s easy to miss just how masterfully it is all written. Mechanically, the biggest new feature to Atelier Lydie & Suelle is the presence of the paintings, alluded to in the full title of the game. Like a surprising number of other video games, a core subset of the “levels” that players get to explore involves Lydie & Suelle “jumping” into a range of magical paintings. There they find specialised and rare materials for their alchemy efforts, complete quests that have been given to them by major characters, battle different enemies, and explore wildly different environments. There is one problem with this, and this is the one criticism I have of the game: The paintings are a great idea for adding a real sense of wonder and adventure to the narrative, but they're also a wasted opportunity. For a game with the tone and fundamental beauty of Atelier Lydie & Suelle, I had expected that each painting reflected in some way a real-world painting style, and each level would have then been modelled on that. There would have been an impressionist level, and then another based on the art of Escher. Another painting could have easily adopted an ukiyo-e aesthetic. Doing this would have given the game an even greater variety and really helped to drive home the paintings theme. Instead, each painting looks more like a “photo” taken from some spot or another in the “real” world the girls live in. In the context of the world of Atelier Lydie & Suelle, all the paintings would be their equivalent of realistic art; the kind you’d hang up in a café or restaurant, rather than an art gallery. 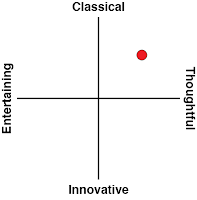 It’s an oddly weak moment of creativity from a team that is usually known for the commitment to the artistic vision. As a result, exploring these paintings doesn't feel different enough to simply visiting a different location in the standard overworld, and therefore isn't enough of a break from the way previous Atelier games handled moving from one "level" or environment to the next. As the third game into the series, the various gameplay structures are fairly set in stone in the game. There are slight differences that the Atelier faithful will notice, and this fan is notorious for each individual having their own preferred approach, so I won’t comment on the relative merits of this one. It really is tweaking around the edges though, so both combat and the alchemy system will feel instantly familiar to veterans, for the better or worse. What I do think the game does particularly well is walk newer players into the various systems. Atelier has traditionally struggled to be accessible to anyone who hasn’t spent a lot of time playing JRPGs, but from the interface to the tutorials, Atelier Lydie & Suelle is laid out in the most accessible, approachable manner yet. It's also impressive with how comfortable the game is in taking its time and slowly introducing players to the various mechanics. 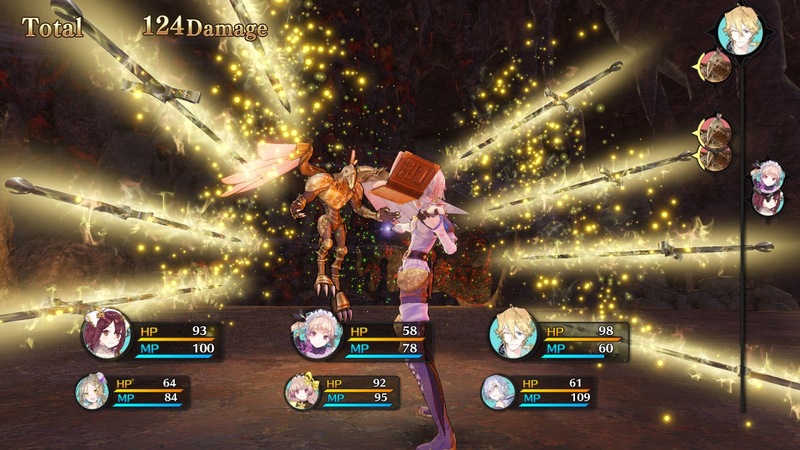 For the first ten hours or so everything about Atelier Lydie & Suelle is almost too straightforward for its own good, but gradually new things to consider are added in, and by the time you're in the real thick of the adventure the combat system has become as nuanced as any other turn based JRPG has been. All of this happens at a far more steady pace than in games past. I’m not sure that will achieve much, since, as the third game in a trilogy I would expect newer players to pass over this in the assumption that they’ll be lost. That isn’t the case and Atelier Lydie & Suelle is a completely self-contained game, but that’s how these things roll. Of course, there’s a large number of people who will look at the relatively primitive presentation of environments, basic animation, and heavy emphasis on text in cut scenes, and dismiss Atelier Lydie & Suelle as being a “cheap, low budget” game. It is made on a budget. Gust games always are. But to dismiss it on that basis would be doing yourself a disservice. 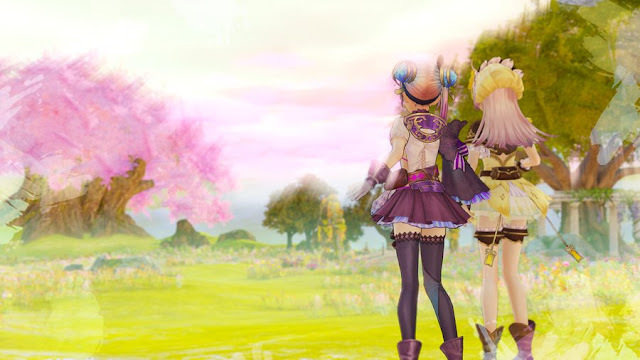 Go into this game with an open mind, and allow the game’s pleasant charm, sweet characters and storytelling, and light, graceful approach to JRPG action to wash over you, and you may just find yourself as in love with the utterly refreshing and pure experience that Atelier Lydie & Suelle has to offer you. This remains my favourite JRPG franchise of all.